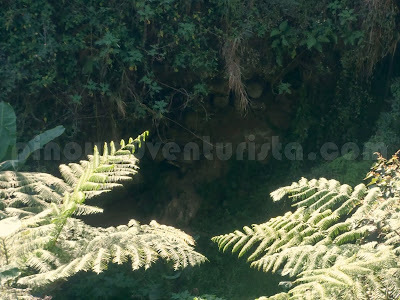 Looking for Sagada Travel Guide Blog with list of Tourist Spots, Attractions and Things To Do and Experience? Sagada is one of the most popular tourist destinations in the country. Dubbed as the "Shangri-la of the Philippines", there are a lot of activities that can be enjoyed here. You can do trekking, spelunking, waterfalls hiking, visiting historical sites, food trip and a lot more. As first-timers, we enjoyed the peace and serenity of the place, the rusty idyllic atmosphere, it's cool climate and most especially, the friendliness of the people. You can find many places and do many things in Sagada. ON this Sagada Travel Guide, I listed of some of Sagada's must-see tourist spots, attractions and things to do and experience - especially for first-timers. 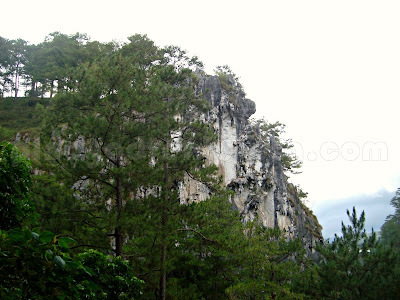 Here are some of my must-do activities for first-timers visiting Sagada. 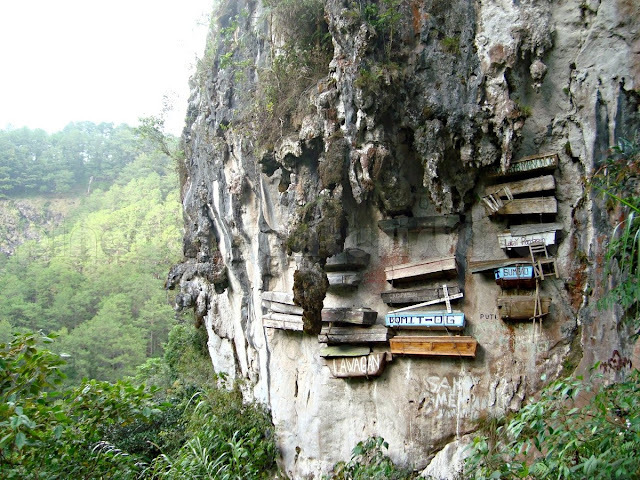 Sagada is famous for its hanging coffins, it could be one of its most iconic tourist attractions. I've been wanting to see it for the first time, and the hanging coffins in Sugong were the very first I've seen. According to some locals, this burial ritual is still being practiced up until today, but locals have to pay a high price for the honor to be buried as such. Perched on high stones and cliffs, these hanging coffins can easily be reached by just walking for about half an hour from the town proper to the viewing deck on the left side of the road. 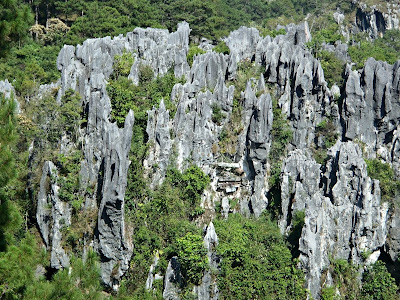 According to our guide, the Lumiang cave has at least 200 coffins that have been buried there for more than 500 years. To get to Lumiang, you need to walk for about 30 minutes from the town proper and it will require you to trek downhill to the cave. Unfortunately, as we don't have much time, our guide didn't brought us to the cave but he pointed us to where it is located. Nestled in a valley, this cluster of rice terraces can be seen on your way to the Sumaguing Cave. The lush green rice terraces are really a feast to the eyes. You could take a short rest here while taking some precious photos. Good thing it was not yet harvesting season as the rice terraces are still so green and very refreshing! This is one of the most visited tourist attractions in Sagada. Also known as "Big Cave", it is said to serve as a refuge for Filipino soldiers from the Japanese guerrillas during World War II. As you explore the cave, you will be amazed by the towering stalactite and stalagmite formations inside which will make tour trip to Sagada truly memorable. Check out a more detailed post on this here. If you are into hiking, you should not miss climbing Mt. Ampacao. Towering at 1,889 MASL, it is considered as the highest peak in Sagada. A guide is not required to reach its summit. You just need to get to the jump-off point near the Ambasing Elementary School and make your way up to the summit. Check out a more detailed post on this here. This is one of the newest attractions in Sagada. It is on its first week of operations when we got to try it last April. 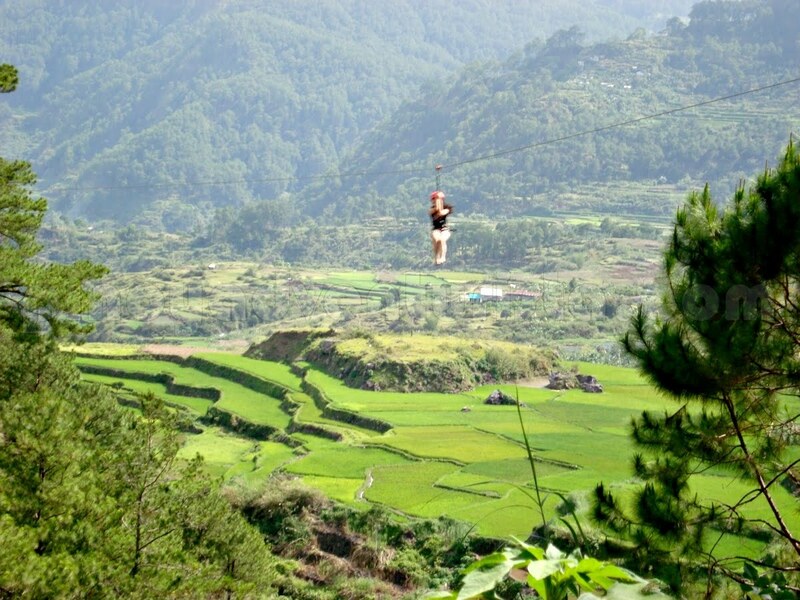 Get a heart pounding zip lining experience while enjoying the view of Kapay-aw Rice Terraces. I will make a separate post on this later. Check out a more detailed post on this here. THE ZIP LINE ALREADY STOPPED OPERATION. Sagada is known to be the only Philippine town that is predominantly Protestant with almost 95% baptized into the Episcopal Church. Built in 1904 by the American Missionaries, the St. Mary the Virgin Episcopal Church is an old stone-walled church with beautiful stained glass windows and charming blue doors. 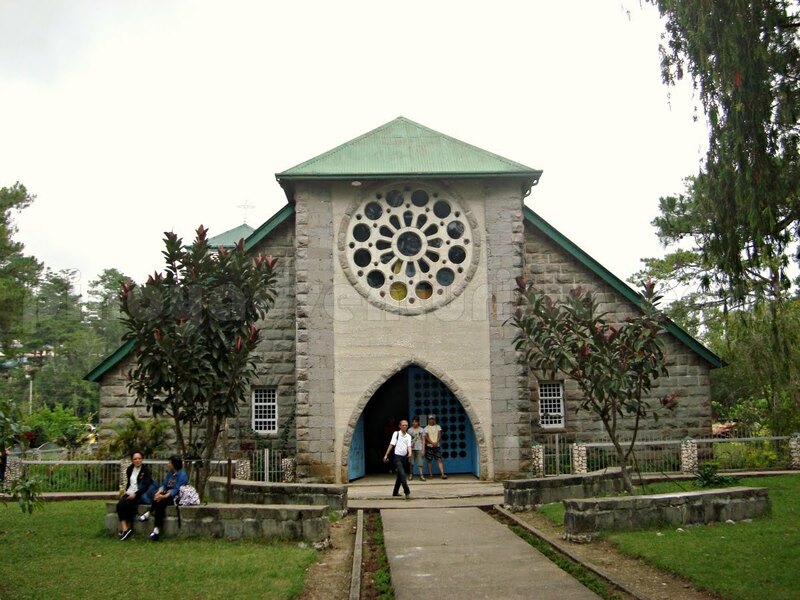 Located at the Anglican Mission Compound is is just a short walk at the center of the town. Within the compound of the church is a trail leading to the echo valley. It requires short trek passing through the calvary hill, the municipal cemetery and a narrow trail along the hillside. 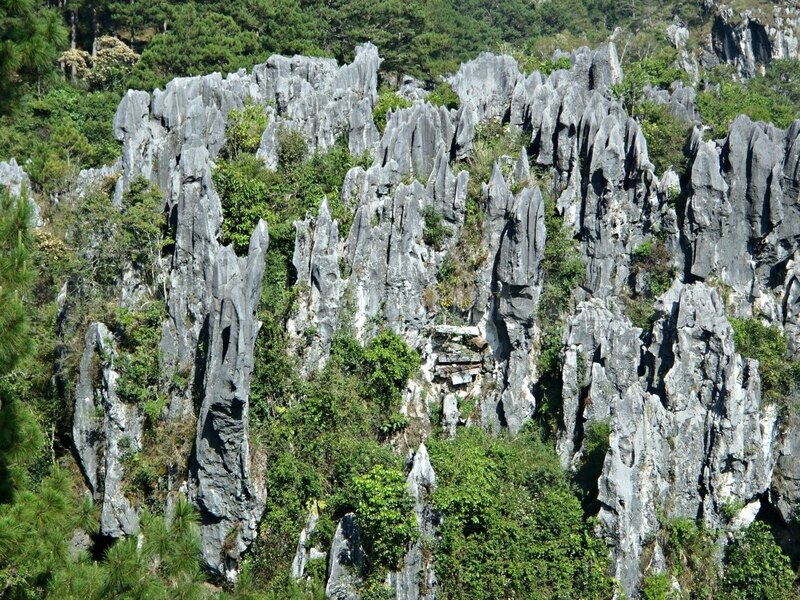 Jagged rock formations will greet you and the famed hanging coffins of Sagada can be seen from here. Try shouting and you will know why the place is called echo valley. 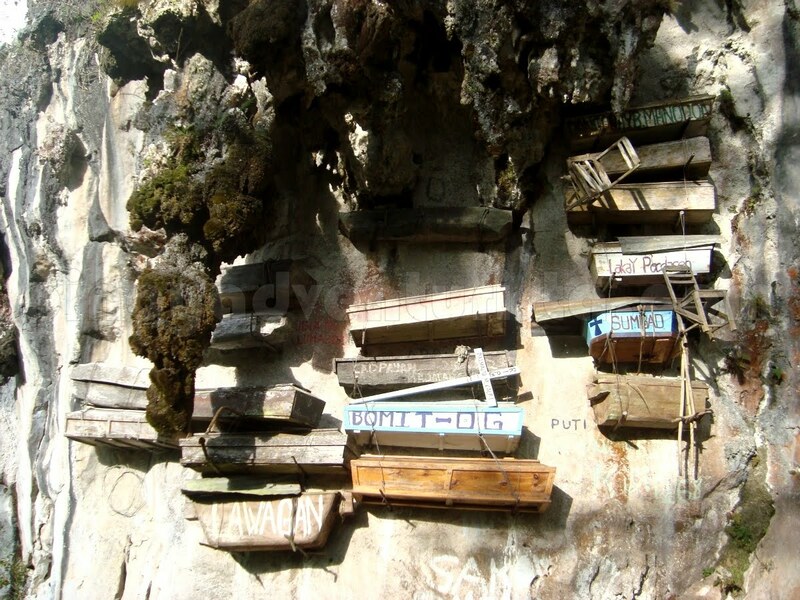 If you want a closer look of the hanging coffins, you need to take a short trek deep down the valley. It wasn't an easy trek, you need to be extra cautious with every step to reach the site. This practice of burying is believed to make the deceased loved ones closer to heaven. There are several coffins here and it's a mix of the old and some new ones. If you go here via a guided tour, listen carefully to your guide as he will give you information on the history and the tradition behind the practice of the hanging coffins. 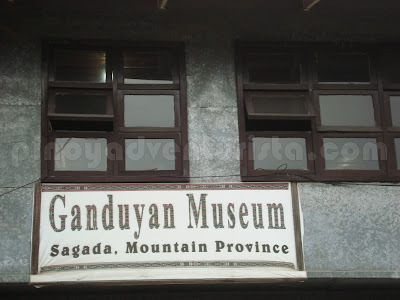 Ganduyan is the traditional Kankanaey name of Sagada. Owned by Christina Aben, the museum is full of Kankanaey artefacts, sculptures, accessories, furniture, utensils, traditional clothes and a lot more. 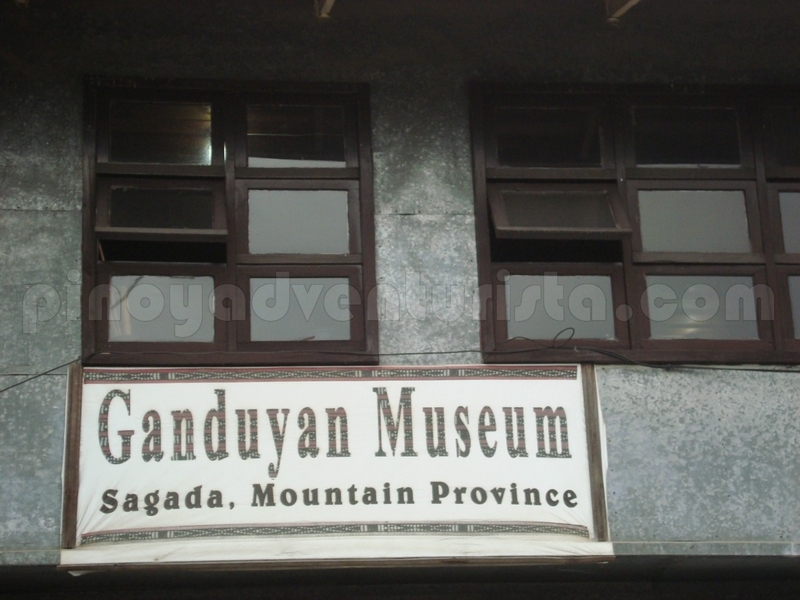 Be sure to listen to Mrs. Aben as she is a fountain of information about Sagada's history, culture and tradition. Her stories about her collection will let you appreciate Sagada even more. No entrance fee is required, but you can donate for the maintenance of the museum. Picture taking is not allowed inside. Your Sagada experience will not be complete without sampling the dishes at Salt and Pepper Diner, Yoghurt House and Vincent's Coffee and Grill. 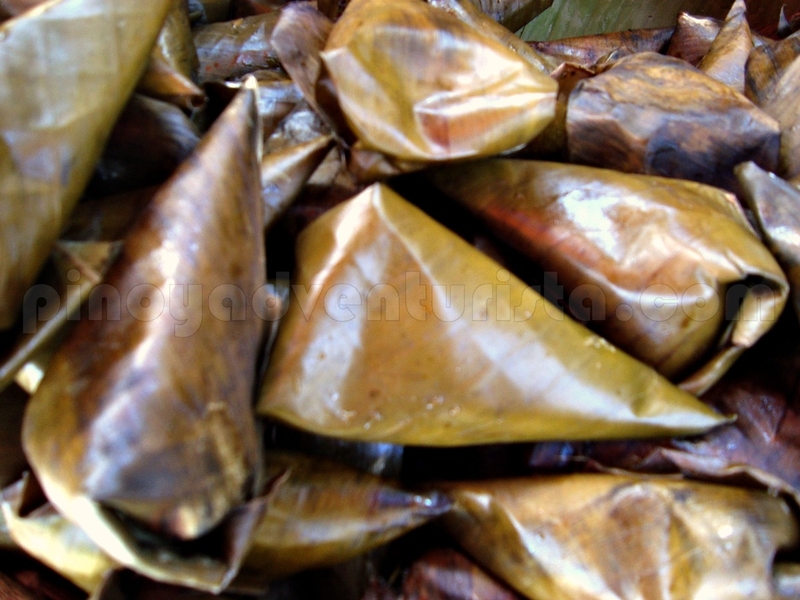 You can also try the Patupat rice delicacy, Bugnay wine and the blueberry muffins which you can buy just around town. When it comes to food, you will surely enjoy Sagada as there are a lot of food options to choose from. Check out a more detailed post on this here. 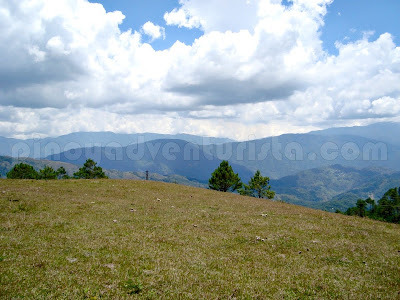 There are still a lot of things to do and to discover in Sagada. You may also visit Marlboro Country, Bomod-ok Falls, Lumiang Cave, Lake Danum, Pottery House, Kiltepan Viewpoint, Pongas Falls, Sagada Weaving and a lot more. Please don't hesistate to add more by leaving a comment below. 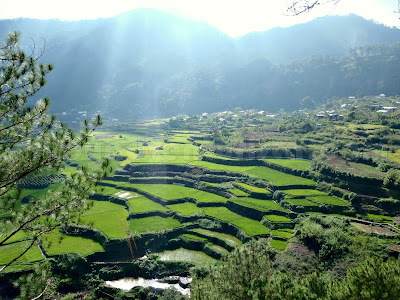 I can't wait to visit Sagada again to try and discover other things it offers. 'Til the next time! Via Banaue: Take a bus bound for Banaue. Travel time is about 9 hours and fare is 450 pesos (for the bus schedule check out this post). 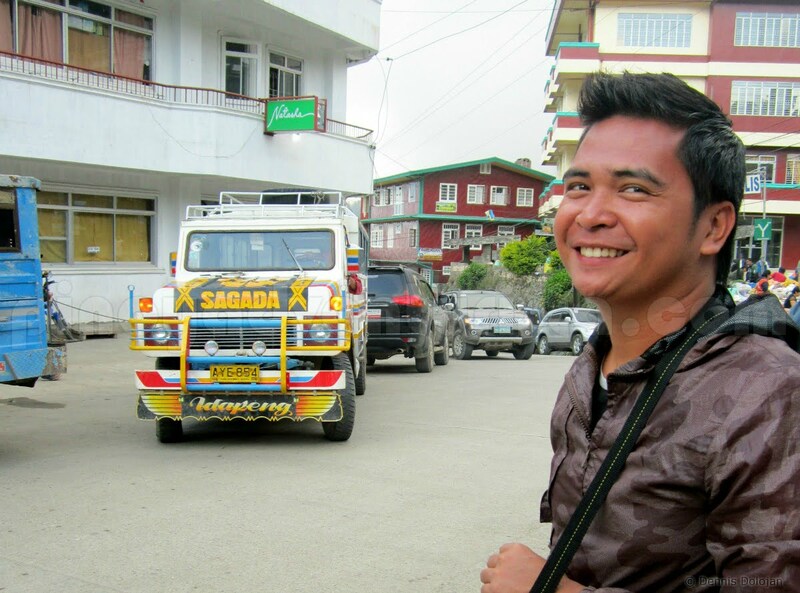 From Banaue, take a jeepney to Sagada. Travel time is around 3 and a half hours (with several stops), fare is 250 pesos. Via Baguio: Take a bus bound for Baguio. Travel time is about 6 hours and fare is 400 pesos. Then go to Dangwa Bus Terminal and look for the Lizardo bus bound for Sagada. Normally, the earliest trip is at 5:00 am and the last one is at 1:00 pm. Travel time is around 5 hours, fare is around 220 pesos. Posted on September 21, 2012 Categories: Churches , Mountain Province , Sagada , Top Picks , Travel Tips , Trip ko 'to..
What I miss most about Sagada is the yogurt! Yummy!! some say that sagada is already a little overrated but i have not been there yet and i can see from your post that it's an interesting destination. will plan on a visit soon. wah gusto ko na rin pumunta dyan! Its so nice at Vincents Cafe, we had a great evening there the food was delicious, mmmm the fish and salad was perfect. This I never got to do. How do we get a tour guide in Sagada? We'll go there on Feb 21. Sagada is really a nice destination that draws you closer to nature. Can we pitch tent at kiltepan peak? Hello, Can anyone refer me a good transient house in sagada? we prefer a house away from the town if available. Thanks! Nice blog btw. Our family is planning to go there (its our first time). Gold pricing... I was surprised as I bought a coffee while waiting for the sun to be raise. The 3 in 1 coffee here in Manila worth only 7 Php, if you buy at sari-sari store but there 30 pesos, Oh my G.
But anyway its full of enjoyment. You never regret if you been there. Did you visit Whang Od?